HVAC symbols in electrical and electronic schematics are used in the design of the printed circuit board or wiring diagram of the air conditioning system. If you would like to troubleshoot the system which is not functioning well, getting a manual and the circuit diagram of the system is necessary. Most of the circuit diagram or schematic diagram have components of which the symbols are quite universal in nature with the exception of some components which may vary slightly from between Europe, North America and the rest of the world. Understanding the function of each individual component will help you to make an informed decision as to the problem that you are facing. Here are some of the commonly used electronic components and related schematics in HVAC. Resistor is a common part that is used in any printed circuit board. 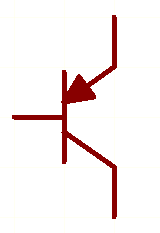 This passive part resists the flow of current. Change to similar value and rating if burnt. Variable Resistor or potentiometer is a resistor of which its resistance can be changed. Usually used when adjustment is needed to the voltage. Capacitor is another common part. Change to similar value and rating if damaged. Electrolytic Capacitor is usually used as smoothing capacitor in power supply regulation. Change to similar rating and value when damaged. Variable Capacitor is used in tuning the circuit to a required frequency. 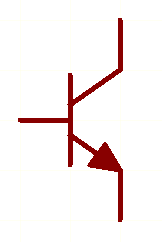 Inductor resists the flow of current. 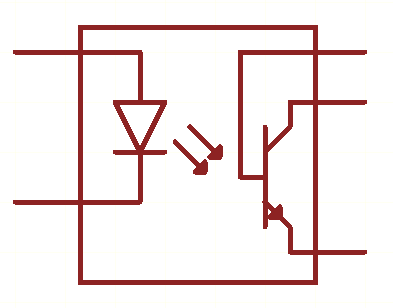 Change to similar value and rating if open circuit. Variable Inductor allows the value of the inductance to be changed. Usually used for tuning to a required frequency. Transformer in HVAC circuit is usually used to step down the input AC voltage to a lower AC voltage that is further rectified to get the required DC voltage. Check the original input, output voltages and the VA if you need to change it. NPN Transistor is used to switch a load by inputing a positive voltage of more than 0.7V between Base and Emitter terminals (Bipolar type of transistor). If damaged, get an equivalent part by checking its original part. PNP Transistor is used to switch a load by inputing a positive voltage of more than 0.7V between Emitter and Base terminals (Bipolar type of transistor). If damaged, get an equivalent part by checking its original part. Batteries are used in design where there is no power supply available or as a backup DC power in case there is no supply. Change batteries to similar or equivalent type when the backup power is not working. Fuse is used as a protection in case of short circuit or overcurrent. If burnt, correct the problem and replace fuse with the same type and rating. Varistor is used to protect the circuit from surge in voltage or lightning. Replace with similar rating when burnt or damaged. Triac is usually used in motor control application where the speed of the motor is controlled by controlling the amount of power to it. Phase angle control is the typical one used in controlling fan motors. 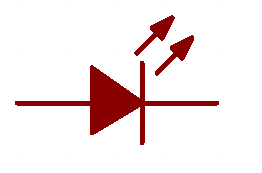 Zener Diode can be used to clamp the voltage to a fix level depending on its value. Change to similar rating when damaged. 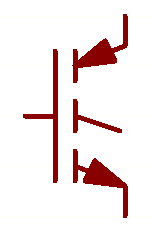 Diode allows the current to pass in one direction from anode to cathode. Change to same rating if burnt. LED or light emitting diode is used to display the status of the system. Seldom damage but if burnt, change to an equivalent type. SCR or Thyristor is able to switch and carry high current by applying a small pulse to the gate of the device. Only half of the power cycle is used as this is a uni-directional device. Change to an equivalent device if damaged. 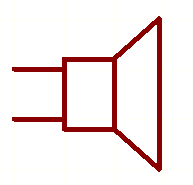 Speaker or horn is used to emit sound to inform the user of a certain event that happen. Power ground of the circuit. Opto-coupler is usually used to isolate a high power circuit from another circuit for safety reason by the use of optical circuit. 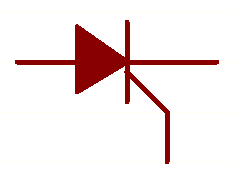 When the diode is on, it will cause the load that is connected to the transistor to turn on. The primary circuit and the secondary circuit is electrically isolated. 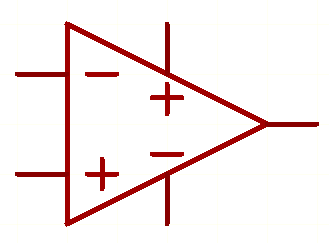 Op-Amp is another useful device that has many applications. 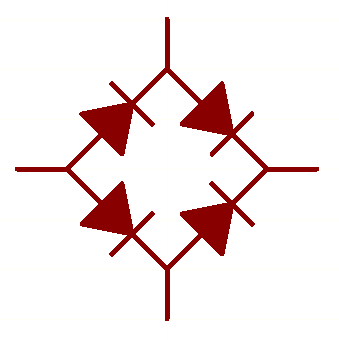 There are usually a few of this devices in a semiconductor package. Crystal is needed to provide clock that runs the microprocessor or microcontroller. IGBT or insulated gate bipolar transistor is used to switch high current load. Usually used in inverter or power supply circuit. 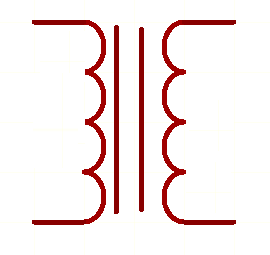 Diode bridge is a combination of four diodes that are connected together. Used to convert AC voltage to DC voltage. The Vcc is the DC power supply that has been rectified and is usually used to power up semiconductor devices and other DC circuitry. Lamp is used as a visual indicator of the status of a system. 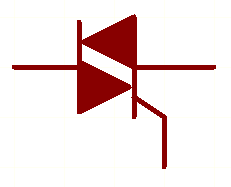 These are some of the HVAC symbols that are commonly used in a circuit diagram. Studying their characteristics will help you in the trouble shooting of the controller.